This has immediate impact and is one that is already affecting employers, this relates to the status of EU nationals currently working in the UK. The Government has enabled EU nationals working in the UK to obtain Settled Status and is now rolling out that scheme so that EU nationals can apply to stay and work in the UK after March 29th 2019. • If you currently recruit workers from the EU, or already have EU nationals on your workforce, or rely substantially on agency workers who are EU nationals then you will need to take some action now to assess how this impact on your recruitment and retention of employees or workers. • If you have employees who work within the EU who are UK nationals there will be implications for them with regard to their continued right to reside and work within the EU. • If you recruit workers to work within the EU and who are EU nationals there may be implications, but these are unclear currently – we will keep an eye on this aspect. PNC can assist you in preparing for the impact of Brexit and give you further information on the Government’s Settled Status scheme so that you can advise your workers. The current set of EU related H&S legislation has been incorporated into UK law so at this stage there are no plans by the current government to change these when the UK leaves the EU. However, because of the uncertainty for business as to what is actually going to be the impact on goods and supplies there is evidence of companies stockpiling essential material as a contingency measure. The HSE has now issued a statement saying that companies must not stockpile hazardous substances without having obtained the necessary authorisation to do so from enforcement agencies. If employees travel abroad for business purposes and if you rely on supplies and services from the EU, or these are routed through EU ports there may be interruptions and delays at borders that could affect the business for periods of time – the Government has said that they only envisage localised delays and for short time periods, but it also depends on the attitude of the EU governments with air and sea ports post Brexit. If you currently transfer personal or other data to the EU or have information sharing agreements with European based organisations, then this may change as a result of Brexit. If you rely on the mutual recognition of professional qualifications and certification, including quality assurance with EU countries in order for employees to operate in the EU this may be affected by changes in the status of these by the EU. Some larger companies have already announced shutdowns in the weeks before and after March 29th 2019 as a contingency measure. If you are also thinking of shutting down temporarily or may have to put employees on short time working, please check with PNC what the employment law implications of this might be. All businesses and organisations have been asked by the Government to compile Contingency/Business Continuity Plans that take account of different Brexit Scenarios. 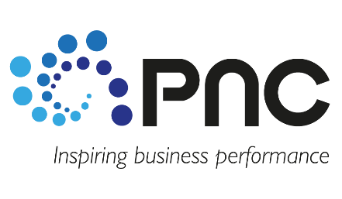 Please contact PNC if you want our assistance in compiling the Plan – and let us know if you have any other employment, data protection or health and safety concerns in relation to Brexit – please contact Claire on claire.rance@pnc-hr.org or 07876 236516.